This narrative paragraph tells of a funny event in a third-grader's life. I remember when my dog Murphy was really little. She was only two or three years old. It was on Christmas. My dad put on some Christmas music, and Murphy put her paws up in the air and started swirling around in circles. Then she put her paws on my dad’s hands, and they started dancing together. It was very funny, and my dad thought that Murphy was a good dancer! 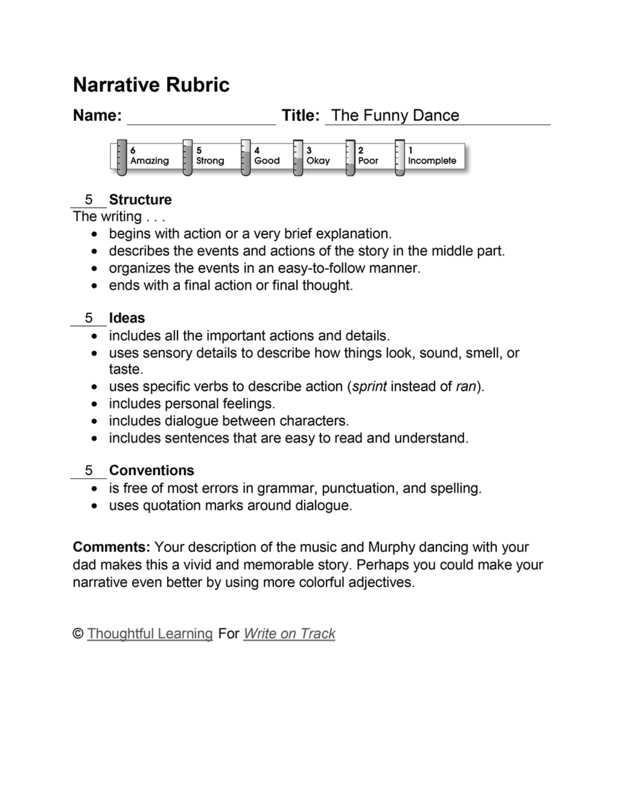 The Funny Dance by Thoughtful Learning is licensed under a Creative Commons Attribution-NonCommercial-ShareAlike 4.0 International License. Based on a work at k12.thoughtfullearning.com/assessmentmodels/funny-dance.